A artista plástica Sabrina Barrios conta sua história de imersão no Rio de Janeiro, onde vive entre a zona sul carioca e a comunidade da Providência. Grounded on the research of US navy Admiral Richard E. Byrd; CERN and NASA scientists; the work of Jules Verne; and internet conspiracy theories; this multimedia installation exposes the Hollow Earth theory and other mysteries we struggle to find answers for. Video documentation of The Horse Rider and The Eagle, an immersive art installation created by Sabrina Barrios, exhibited in Brussels, Belgium (March 2016). The Horse Rider and the Eagle is the second chapter of a larger multimedia site-specific installation that depicts a hidden dimension in space, lead by matriarchy. The viewer is invited to participate in the work of art and to experience each piece with their bodies, while gathering clues to understand the narrative in its totality. The season finale presents the work of artists from the 2016 AIM program at The Bronx Museum in NY. 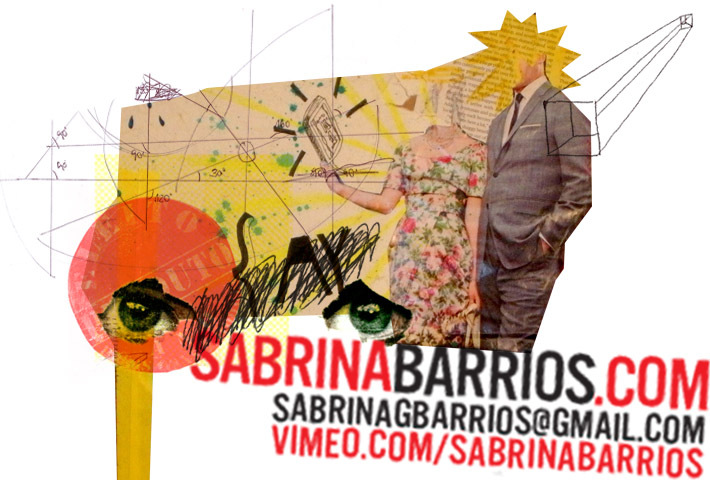 Brazilian born–Brooklyn based multimedia artist Sabrina Barrios hosts studio visits with the audience, where she shares the work of fellow artists from the AIM program (The Bronx Museum). In a lecture that took place in New York, Sabrina Barrios walks the viewer through her previous work, that lead to the 2 part site-specific installation “Coup D’etat” (2016). What Do You Know About Time Travel? (2013), is the painting that Sabrina Barrios exposes in this episode. She shares the ideas behind the piece, that concern quantum physics and our limited perception, constrained by vision.